hydrangea, lisianthus to show appreciation and delicate sweet pea. 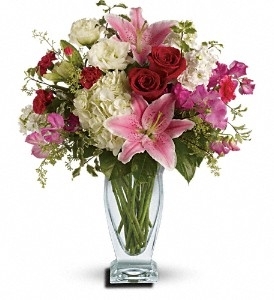 spring blooms perfectly arranged and delivered in a couture Vase. Very pretty. Very proper.